Pictured atop: Marketing Director Scott Suilivan, Corporate Gourmet Manager Alexis Thompson, Gary Fisch and Wine Director Brooke Sabel. A business cannot survive and grow for three decades without challenges and innovations. Gary’s Wine & Marketplace in New Jersey has experienced plenty of both along its path to celebrating 30 years of business in 2017. Gary’s is known in The Garden State for its knowledgeable staff, competitive pricing and a vast variety of gourmet products. Last year the business opened its fifth store. 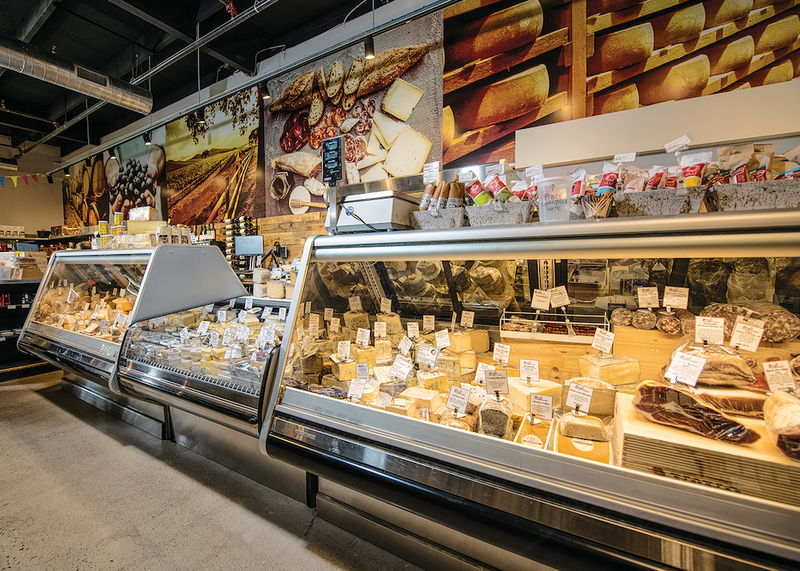 Located in Closter, NJ — nearer the New York line than any other Gary’s — the shop is 8,400 square fee, and carries more than 2,700 wine SKUs, 700 spirits, 800 beers and 150 fresh-cut cheeses. That inventory is par for the course for the larger Gary’s locations. The new store will create 20 new jobs. Adding those to the brand’s four other stores in northern New Jersey (Madison, Bernardsville, Wayne, Hillsborough) brings total staff to 165. Overall company revenues for 2017 are projected around $50 million. Yet, as Fisch admits, this represents relatively flat growth for his company. For the past four years, Gary’s has had similarly static revenue results. What Fisch attributes for this financial plateauing are issues that affect nearly every retailer in 2018. “At Gary’s, we have beautiful stores, great pricing, great selection and well-trained staff who understand the product. At national chains you might get one or two of those, but you won’t get the full blend that we have. And that still excites me.” — Gary Fisch, founder and owner of Gary’s. Fisch sees a 1-2-3 punch of competition in the retail sector. New competitors have emerged on a local, national and global scale. “Amazon is affecting all retail,” Fisch says. “And national chains are getting bigger and bigger. They’re gobbling up the allocations that we’re all trying to get.” (Though, he adds, Gary’s allocations have remained steady). Fisch also points to a new generation of young retailers with small local stores. 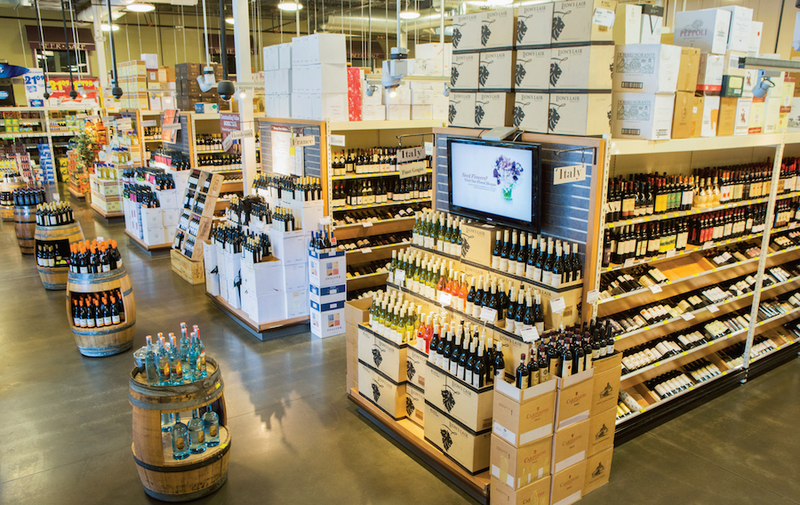 While these shops may not pose the same level of threat as Amazon or Total Wine, they do represent additional competition. “The consumer dollar can only go so far,” Fisch says. Recent changes in e-commerce also became a headache for Gary’s. The company continues to run a world-class website that expands sales across the nation. Anyone can click on a product on garyswine.com and get it shipped to their doorstop. It’s an excellent source of extra income — so long as the shipments are legally allowed. The problem is, Fed Ex and UPS recently became more restrictive about which states they will ship alcohol to. In the past, the delivery services were less strict about transporting these products across state lines. In 2017, Fed Ex and UPS told retailers they would only deliver over state lines to the 14 states (and Washington D.C.) with laws that clearly permit interstate alcohol shipments. For instance, New York — a large customer base for Garyswine.com — is no longer allowed. In pursuit of this goal, Gary’s in August hired veteran sommelier and wine consultant Brooke Sabel. As the company’s new wine director, she oversees the wine-buying team and the wine education program for staff and customers. “For me, education is all about the growth of Gary’s,” Sabel says. That means sharing her wine “geekiness” with employees so that they can speak intimately with guests about remote regions and hyper-trendy styles. “You want to be able to tell the story of the wine, because the story is what sells it,” Sabel says. She tastes staff constantly. If the consensus comes down against a wine, Gary’s will not stock it. Sabel also stresses the importance of educating guests, particularly about boutique producers or obscure regions. Sabel travels constantly in search of new wines and viticulture areas. What is she looking for? Passion in winemakers, for starters, and whatever represents the cutting-edge. Right now she has an eye on Corsica, Croatia, Georgia, Eastern Europe in general, Brazil, Portugal, Virginia, Michigan, upstate New York and even the Garden State itself. “A lot of people think of New Jersey wine as ‘eh’,” Sabel says. “But I think it has a nice base of sweet wines.” For example, she points to Alba Winery in Milford, NJ. Several years ago she visited the producer and came away thinking they were “just another New Jersey winery.” But this past year she tasted a chardonnay of theirs that blew her away, along with other Alba wines (including pinot noir) that she gives high marks. “Don’t dismiss what’s in your own backyard,” Sabel says. If the consensus in a staff tasting comes down against a wine, Gary’s will not stock it. In the past five years, Gary’s marketing has evolved. Instead of older methods of promotion, the company now invests in savvy digital advertisements. Scott Sullivan, Gary’s marketing & communications specialist, says the business focuses on online promotions and telling the brand story — especially through digital video and social media. In the past few years Gary’s has run a lot of marketing for the red-hot rosé category, highlighting that “It’s Always Rosé Season.” The result: sales of this wine increased 20% in 2017 to $1.2 million, after reaching $1 million in 2016. Elsewhere, Gary’s has invested in pay-per-click campaigns through Google. These present people with ads to buy wine from the business’ website. In the next five years, Sullivan foresees more marketing that promotes the selection, customer service and education at Gary’s. Digitally that could be an app that allows guests to buy products and have the purchase already waiting for them when they show up, or seeing what’s in stock on the website in real time. While Gary’s is best known for its wine selection, the chain also sells a great deal of beer and spirits. Each category represents about 12% of the overall business. Fisch worries that the craft beer business has become “very soft.” The sheer variety of what’s available presents challenges. Not everything that’s new or different will catch on with customers. And beer stock that sits on shelves quickly loses its fresh flavors. Fisch finds the spirits category “extremely exciting.” Recently he traveled to Louisville to explore through and buy up bourbons and American whiskeys. 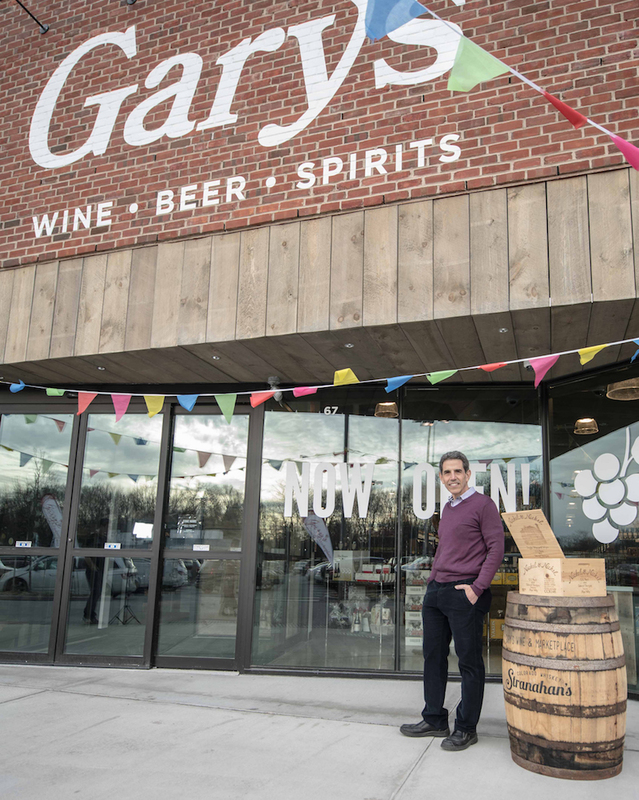 Gary’s hosts in-store spirits tastings once per week for customers (the highest frequency allowed by New Jersey law), and tastes staff whenever the spirits sales reps stop in. Gary’s Wine & Marketplace stocks plenty of foods and gift items to warrant its full name. Alex Wein, Corporate Gourmet Manager and Buyer, oversees both departments. The focus in food is on gourmet cheese. Gary’s constantly changes up its cheese mix, while maintaining fresh product and competitive prices. Otherwise, customers may buy these cheeses at their super market. “Customers tell me all the time that they feel bad purchasing elsewhere, because we’re actually cheaper and fresher,” Wein says. The focus in food is on gourmet cheese. Gary’s constantly changes up its cheese mix, while maintaining fresh product and competitive prices. To stock fresh products and maintain a diverse portfolio, Wein works with importers directly from Europe, rather than a national distributor. She’ll book shipments many months in advance and pick them up from air or boat deliveries. Fresh-cut cheese sells so well at Gary’s that the stores will go through a full wheel of Parmesan every week. Gary’s receives fresh-baked bread daily from two in-state bakeries (Balthazar and Calandra’s) every day. Gary’s first partnered with Calandra’s two years ago. “I love that they’re a family business, and their quality is consistent,” Wein says. You’ll now also find Calandra’s marinara sauce and olive oil in Gary’s gift baskets. When it comes to giftware, Gary’s carries a balance between basics and higher-end items. Guests can buy an inexpensive corkscrew, or a nicer model that could make a Father’s Day gift. Wein’s greatest challenge these last five years has been hiring. Her department has received insufficiently low numbers of qualified applicants. Wien believes the issue stems from potential employees thinking they lack proper experience for the non-alcohol side of the business. Working with gourmet cheese may be particularly intimidating for the uninformed. To counter those concerns, Wein says Gary’s will gladly train passionate applicants in food and gifts. She points to her employee Andrew Deakin, team lead at the Bernardsville store, who joined the business with no knowledge of gourmet cheese. Now, after staff training and learning on the job, he’s the team leader for the food and gifts departments at two locations. Moving forward, Wein wants to see her departments have a greater presence online. And, “sooner than later,” she wants to start a cheese-of-the-month club. She foresees pairing the program as an add-on purchase with Gary’s wine-of-the-month club. Beyond that, she predicts more of the same for her employer.